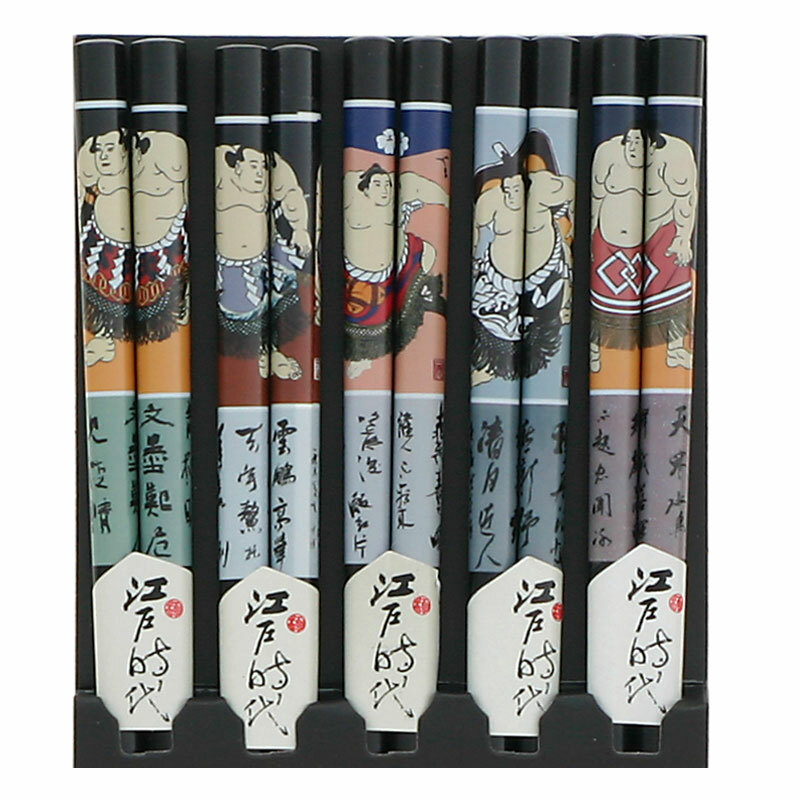 Five sumo are always better than one. 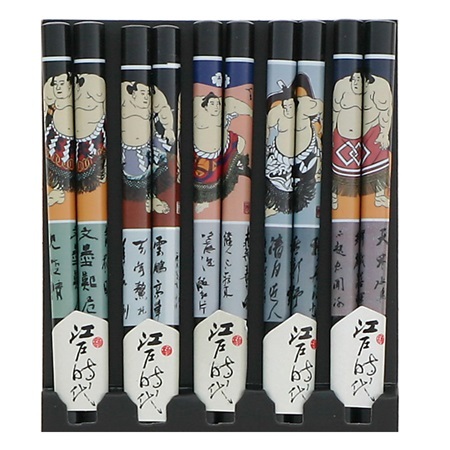 Five pairs of chopsticks with assorted sumo designs packaged in a cellophane bag with header. Handwash recommended. Made in China.